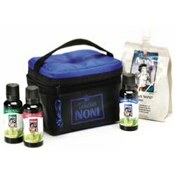 You get 2 cases of Tahitian Noni® Juice and TNI Agreement / Application pack. 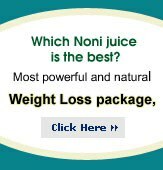 One Case of Tahitian Noni® Juice includes 4 bottles. Each bottle size is one litre. Reconstituted Noni Fruit Juice from Pure Juice Puree from French Polynesia, Natural Grape Juice Concentrate, Natural Blueberry Juice Concentrate, and Natural Flavors. Take 1 ounce per day preferably before meals. Shake well before using. Store at room temperature. Refrigerate after opening. Due to the high sugar content in the fruit juice, diabetic patients should use Noni juice with caution.